Recently I was contacted by the team at the Bondi Beach Tea Company to have a try of some of their range of teas and report back to all concerned. 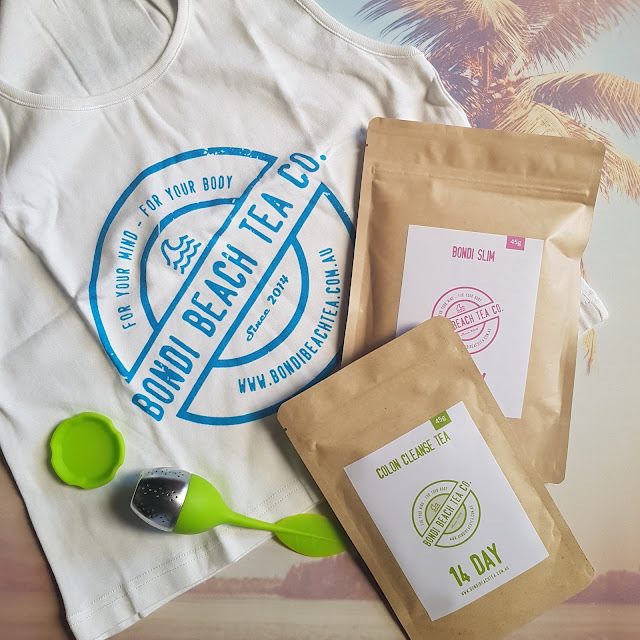 I chose the 14 day B-Slim Tea Detox Program which included both the Bondi Slim and Colon Cleanse teas and they kindly sent me a cute strainer and tank top too! Now, before we go any further - let me make it clear that neither I nor the Bondi Beach Tea Company claim this as any kind of miracle-working quick fix weight loss concoction. It is designed to support and maintain a healthy lifestyle rather than magically combat the effects of burgers and chips. I read up on their website first before agreeing to this review and was satisfied that it wasn't a gimmicky or dangerous product and was something I would be happy to share with my readers. I'm also conscious of the word "detox" in the title as that's what our various organs are for but I get the concept. 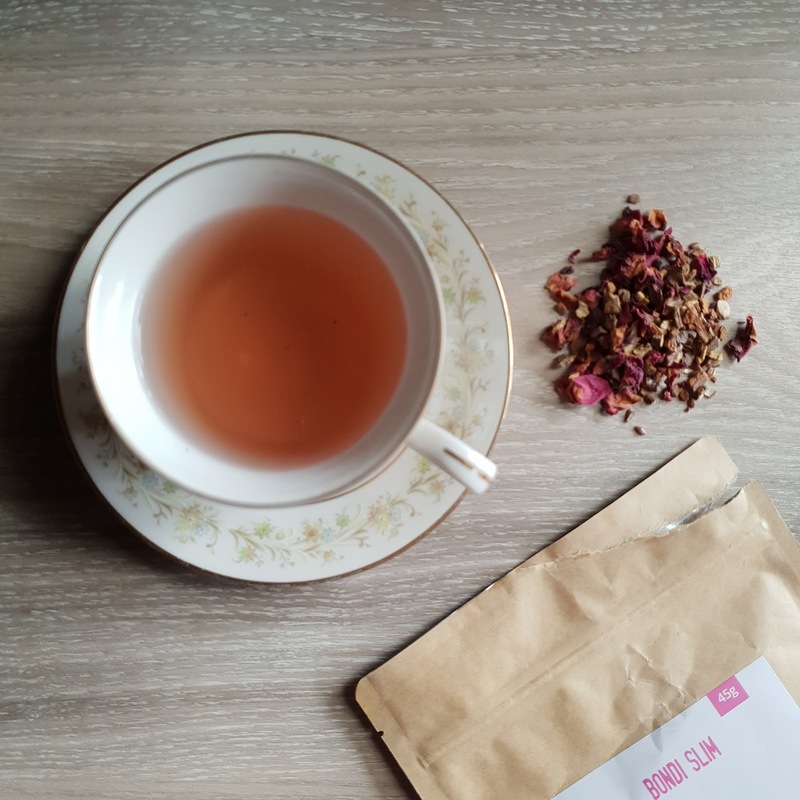 They say, "our most famous tea blend is packed with antioxidant-enriched ingredients for an energy uplift, to enhance the body’s natural detoxifying powers, reduce inflammation, and promote healthy weight." The teas do not contain laxatives like many other detox teas on the market, which is good to know. Instead, they are made up of all sorts of natural, organical and ethically-sourced ingredients that are associated with the benefits above, including green tea, dandelion leaf, acai berry, yerba mate, flaxseed, cinnamon bark, cacao nibs and fenugreek seeds. I followed directions, boiled the kettle and took the tea. It was surprisingly easy to work it into a routine, especially the one first thing in the morning. The flavour was mild and easily drinkable. I did not use the Colon Cleanse tea at the same time because it needs to be consumed in the evening and I was doing a teeth whitening program at the time and wearing mouth trays when recommended to drink it. Admittedly, I was also terrified at the thought of unscheduled toilet stops. I have issues. I did try it later on its own and it wasn't like an instant laxative effect so that's good to know. After two weeks, I had lost about 2 kilos, 7cm from the bust, a cm from the waist and 2 cm from the hips. I undertook the tea test in conjunction with the start of a proper healthy eating plan and an increase in daily exercise. Which is what they recommend in the instructions for optimal results. I felt like I had more energy, I enjoyed the drinking of said tea and building into my routine a hot drink that didn't include milk or sugar. At the moment there is a 22% off storewide sale with code SUGARFREE, so if you're interested in trying these teas for yourself, now is the time! Have you tried a detox tea before? How did you go? 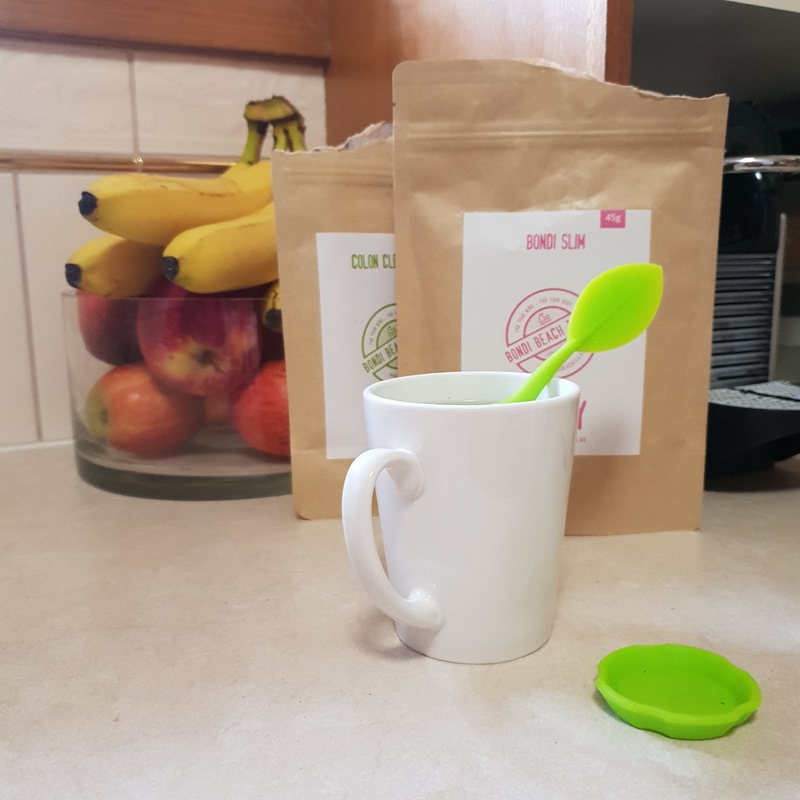 Products kindly supplied for review by the Bondi Beach Tea Co. All images, opinions and colons - cleansed or otherwise - are mine and genuine. For more information, please see my PR & Media policy.